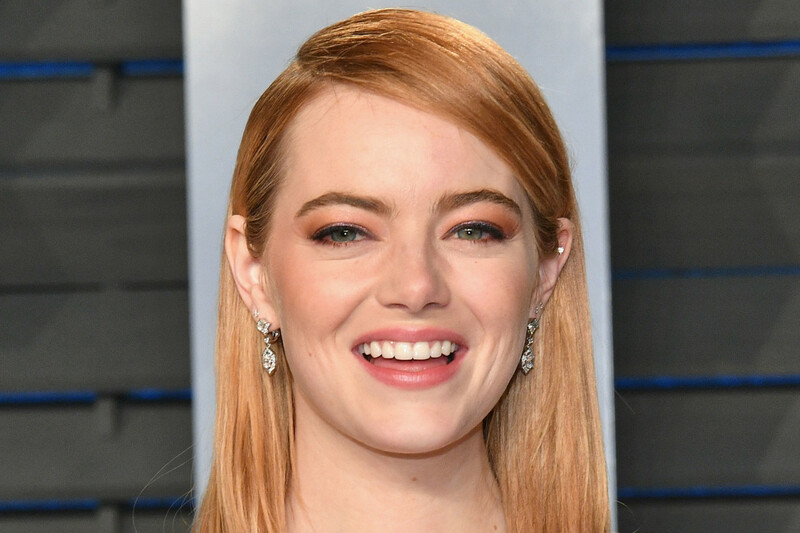 Emma Stone, 29, is now the highest-paid actress in the world, with an Oscar, a Golden Globe and a BAFTA Award under her belt. She&apos;s also been a style icon on the red carpet for what feels like forever. Here on this blog, at least, I&apos;ve been crushing on her beauty looks all the way back to 2010. Eight years, people! So why has it taken me this long to consider Emma a candidate for my Before & After column? I&apos;ll tell you why. Because I didn&apos;t want to believe it! Even more so than Jennifer Lawrence, Emma has an all-natural, down-to-earth, "girl next door" image that would seem at odds with getting cosmetic procedures. But we&apos;ve seen the photo evidence proving otherwise with J-Law. And I&apos;m afraid I&apos;ve got a similar case to show you today! Take a look at Emma&apos;s transformation since 2004. Emma Stone on &apos;In Search of the New Partridge Family&apos; in 2004. She was only 15 here! Apparently a natural blonde, she was already dyeing her hair that auburn shade that was so popular in the mid-&apos;00s. She definitely had dental work later on to perfect her smile... but I also suspect her nose, lips and even eyelids were also tweaked! Emma Stone at a Replay store launch in 2006. The following year, Emma rocked a deep spray tan, and what appear to be coloured contacts. She looks cute and all... but this is not her look! The tan almost makes her face seem dirty. Note the broader nose, thinner upper lip. and teeth. We can&apos;t see what&apos;s happening in her eye area because of the new bangs. By the way—Emma was suffering from bad acne at this time, although it&apos;s not visible in this photo. "I had bad hormonal acne when I was 17, and they put me on Accutane for it," she told Refinery29. Then, it was back to blonde for a brief time. Well, almost. This is more of a two-toned look with blonde roots and red ends, but it&apos;s better with her colouring—and the non-Oompa Loompa skin tone helps, too! Her face still had some baby fat here (she was 18), and although her nose was cute, it&apos;s obviously more bulbous at the tip. This was also pre-Hollywood smile makeover, as her teeth are a bit uneven, and discoloured. Like so many of us during that time period, she really did a number on her eyebrows! Emma Stone at the 2008 Guys Choice Awards. In 2008, Emma returned to red—a really vibrant red, styled in a messy, piecey updo. (Funny how it looks so dated now!) Again, you immediately notice that her nose is just that little bit more prominent. She also had major freckles here. One more thing to observe is the space between her eyes and brows. I suspect some of that skin was later removed for a less heavy-lidded appearance. Just a few months later, Emma bleached her teeth to a blinding Hollywood white. (TOO white, I believe—they faded later on, and look more natural today.) Again, you can see that her eyelids have a heavier look. Emma Stone at Comic-Con in 2009. This one is so striking! Suddenly, Emma looks a lot more sophisticated, thanks to an even deeper auburn colour, new bangs and a cool, textured style. But is there more to it than just the hair changes? I think so! Often, celebs will switch up their hair and makeup quite dramatically, so that we don&apos;t notice their altered facial features. I&apos;m seeing a different nose, and possibly more "open" eyes. Emma Stone at the 2009 GQ Men of the Year party. And here&apos;s another one from 2009, when Emma was 21. Her hair colour is starting to fade, and I don&apos;t know what&apos;s going on with all the purple eyeshadow (it&apos;s not really working). If you compare this shot to the 2006 one, which is at the same angle, you can really see the shrinkage of her nose. But the main reason I&apos;m showing this to you is because of her lip. The top one. Keep it in mind as you scroll through the next pics! Emma Stone at Trevor Live in 2010. I think 2010 was really Emma&apos;s breakout year. At this point, she became one to watch on the red carpet, with a team of A-list hair and makeup pros ensuring that she always looked perfectly on trend. It&apos;s really a miracle that her hair remained so healthy-looking through all these colour switch-ups! This time, it&apos;s a bright blonde with a brow-skimming fringe. See how much more her eyes stand out, with the smaller nose? And now she&apos;s a redhead again! I think this is probably the colour we all love most on Emma, a classic fiery red that looks super natural on her. This is also when we started seeing her get bolder with makeup—in this instance, pairing a shimmery pink shadow with a rich raspberry lipstick. Speaking of lips... her upper lip is now bigger, and I&apos;m certain that&apos;s not from over-lining! This is one of my favourite Emma looks of all time, save for the skinny eyebrows (which she has now finally managed to grow out). I just love that navy blue eyeliner! But I guess it never occurred to me that her lips were artificially enhanced. This was pre-Kylie Jenner filler rumours, so it wasn&apos;t even on our radar that a young person would get injections! Emma Stone at the 2012 MTV Movie Awards. Later on in 2012, Emma returned to blonde (seeing a pattern here?). I remember loving this look at the time, especially the bright lips and this particular shade of pink. If you look closely, you can see some lumpiness to the lower edge of her upper lip—a telltale sign of fillers. This colour and cut are pretty much the same as what Emma had in 2010, and they&apos;re still so great on her. Slowly but surely, her brows are coming in, and she also left them dark and ashy—a subtle change that elevates her look, since they were always light and reddish before. Her lips seem to be deflating nicely. But then she must&apos;ve gone in for a top-up of filler! I can see the top edge was overdrawn, but I don&apos;t think that accounts for the difference in size (just compare this to the photo from 2009). Honestly, I&apos;m so surprised! But I will say that her brows look much better, and the top knot thingie is adorable. To transition back to red, Emma rocked this Ombré for a time, and I love it, especially with the waves and the bangs. It&apos;s also been shortened to a lob length, but I&apos;m pretty sure she added extensions to get the next look (which was only a few days later). Her upper lip has been exaggerated with gloss and liner, but still may be enhanced. By this time, she was 25 years old. Emma Stone at the 2014 Met Gala. Remember when messy side braids were a thing? Emma&apos;s hair suddenly "grew" a few inches to achieve this, which I recall being on the fence about. (Or maybe it&apos;s the eyeshadow that&apos;s the problem?) She&apos;s now fully red again, and we can see an amazing transformation with her eyebrows. They&apos;ve come along way since 2007! Emma Stone at the 2015 Independent Spirit Awards. During 2015, Emma had the cutest long bob. I really do prefer shorter hair on her! It&apos;s also nice to see her with navy liner again (my favourite). But there are a couple things I don&apos;t get about this. One, why are her brows over-plucked when she was doing so well with growing them out? (Need I remind you, these were the peak Cara Delevingne years.) Two, surely it&apos;s possible to get lip filler without ending up so lumpy... right?! See, something is definitely up with Emma&apos;s lips—and I think it&apos;s a case of bad over-lining AND wonky fillers. How did I not see this before? And how did she fly under the radar? I guess we were all too busy looking at Kylie Jenner&apos;s lip injections to notice! Thankfully, whatever Juvederm was up in there had dissipated by early 2016. At the time, Emma was filming &apos;Battle of the Sexes,&apos; in which she played Billie Jean King—hence her newly dark brown hair. There&apos;s also so much spray tan happening, it&apos;s giving me 2006 vibes! I suppose it&apos;s to lessen the contrast between her skin and hair, but I&apos;m not loving what it&apos;s doing for her skin texture. Another major change is her eyebrows, which are now dark, bold and feathery. Emma Stone at the Critics&apos; Choice Awards in 2016. Fortunately, the dark hue didn&apos;t last long, and Emma was a pale redhead once more by the end of the year. This one&apos;s another favourite of mine—I love this rich red, the straight hair and the glam makeup. Do I think she&apos;s still getting lip injections? It&apos;s hard to say for sure with the dark red lipstick, but my guess would be yes. At this point, Emma was 28, and I love seeing this softer, romantic hair and makeup. She is now every bit the A-list Hollywood star! Everything is on point here, from the perfectly undone updo to the grown-up pink-toned makeup. To me, her upper lip still looks a little fuller than it did back in 2009. Emma Stone at the 2017 Academy Awards. Receiving the Academy Award for Best Actress, Emma could not have looked more glamorous. Vintage waves, shimmering gold eyeshadow and a rich brick-red lipstick—it was all perfect! And once more, Emma went blonde—but this time, a light, solid platinum blonde. This, too, was for a leading role (&apos;Maniac&apos;), so it wasn&apos;t meant to look "natural." In other pictures I&apos;ve seen, it definitely washes her out, but this makeup helps. Looking at her lips, I think she&apos;s probably still getting them done, but switched to someone with a better, subtler technique! That brings us to 2018! Emma&apos;s red hair is on its way back (like you knew it would be) and she is looking adorably natural here. If I hadn&apos;t seen the photos for myself, I&apos;d NEVER believe that any cosmetic tinkering had been done. Which is the way it should be! Emma Stone in 2004 (left) and in 2018 (right). Emma Stone in 2006 (left) and in 2013 (right). I suppose I shouldn&apos;t be surprised that Emma, just like most of the young actresses in Hollywood, has apparently undergone multiple cosmetic procedures. It&apos;s not like we haven&apos;t seen the same type of "work" time and time again in my Before & After column. But here I was, thinking she was just one of those beauty chameleons, changing her hair and makeup all the time! (Not to mention her brow shape.) She&apos;s so darn fresh-faced, I simply hadn&apos;t pegged her for the type. You know, the Kardashian-Jenner type. These side-by-side examples clearly tell a different story. To me, they suggest that she has had the requisite nose job, veneers, teeth-whitening and lip injections. It&apos;s the latter that shocks me the most! 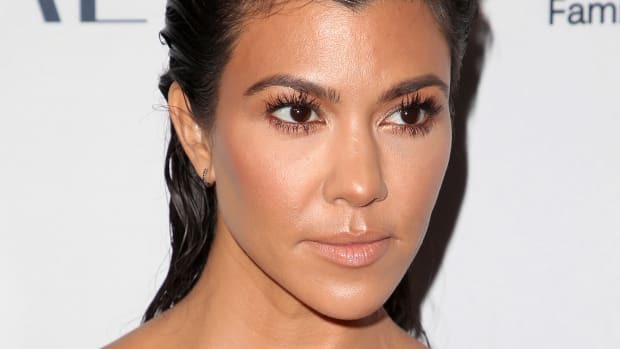 I&apos;m not 100 percent sure about blepharoplasty (eyelid surgery), since makeup can change how that area looks, but I think she may have done that, too. And her freckles have faded over the years. That may be from makeup, or not sunbathing, but it could also be from treatments like IPL (intense pulsed light). It&apos;s a lot! And yet, no one is talking about this, despite Emma sporting, for a time, some very obvious fillers. It&apos;s clear that NOBODY is natural in Hollywood... and a thin upper lip is starting to become a "flaw" to be "fixed!" How do you feel about Emma&apos;s beauty evolution?